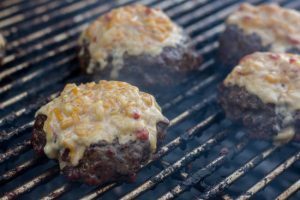 Who doesn’t love a good crunchy snack for a party or a tailgate? This sriracha lime crunch mix recipe will certainly spark some interest. It combines the unique yet well matched flavors of lime and spicy Sriracha hot sauce with the sweet and salty flavor combination that we are all so familiar with. 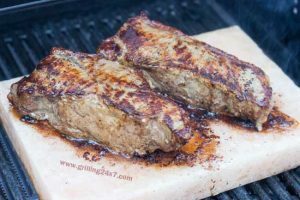 This recipe is really easy to put together and takes less than 30 minutes from start to finish. At first bite you get the sensation of tart citrus, which is followed by the sweet and salty flavors of the crunch mix. Then slightly afterward the spicy heat of Sriracha makes its presence and provides some nice kick! 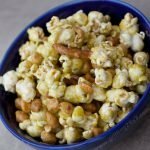 Give this Lime Sriracha Crunch Mix a try for your next tailgate or party! Preheat oven to 300 degrees F and line a baking sheet with parchment or wax paper. 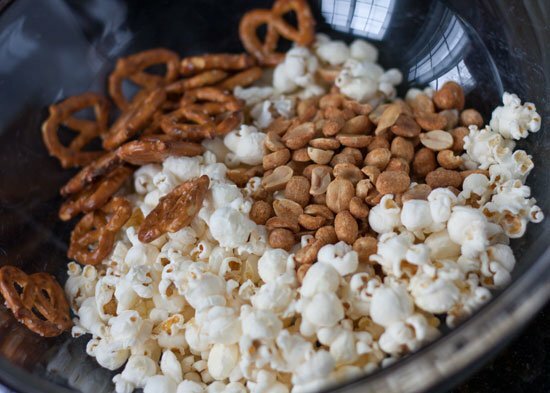 Mix peanuts, pretzel twists and popcorn together in a large mixing bowl. Melt butter in a sauce pan over medium heat and add corn syrup. 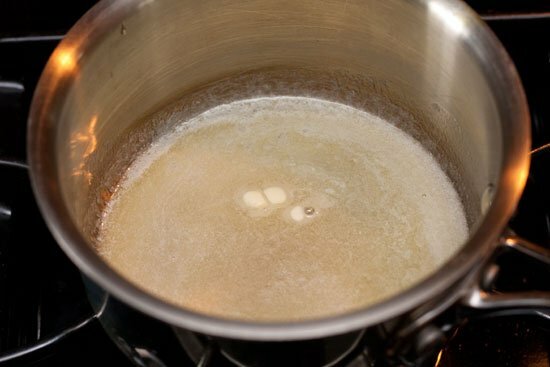 Slowly stir until butter is completely melted. Add sugar and JELL-O Gelatin mix. 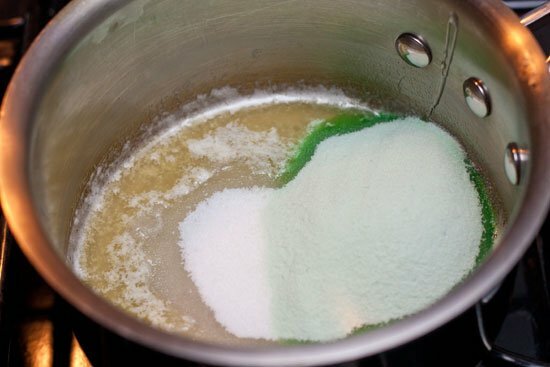 Mix well and keep stirring over medium heat for 2-3 minutes until gelatin is well mixed in and begins to boil. Add 1-2 T Sriracha Hot sauce. If you are afraid of spicy foods add 1 T of Sriracha hot sauce. If you like some spice increase to 2T of Sriracha hot sauce. Keep stirring and simmer on low for about 5 minutes. 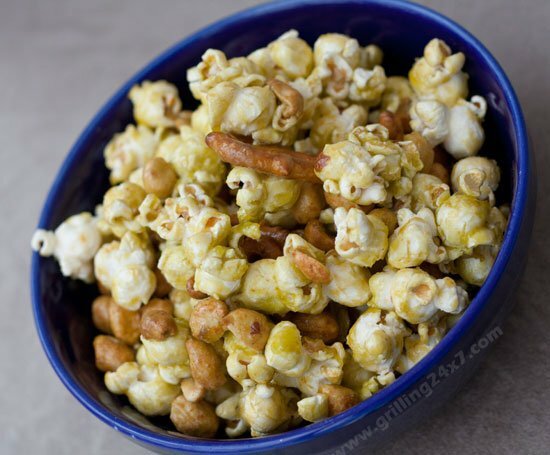 Immediately pour the spicy gelatin mix over popcorn, peanut and pretzel mix and mix well. 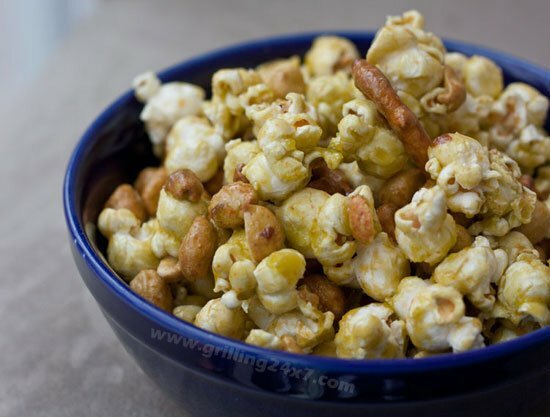 Spread the coated popcorn, peanut and pretzel mix onto the parchment paper lined baking sheet. Using two forks spread out the mix evenly onto the parchment paper. Bake at 300 degrees F for 10 minutes. Let cool. Break into small pieces and serve. 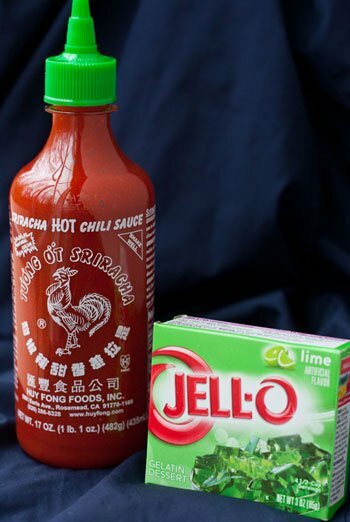 This recipe combines the unique yet well matched flavors of lime and spicy Sriracha hot sauce with the sweet and salty flavor combination that we are all so familiar with. 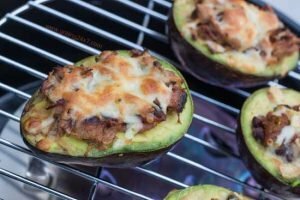 •Preheat oven to 300 degrees F and line a baking sheet with parchment or wax paper. Mix peanuts, pretzel twists and popcorn together in a large mixing bowl. Melt butter in a sauce pan over medium heat and add corn syrup. Slowly stir until butter is completely melted. Add sugar and JELL-O Gelatin mix. 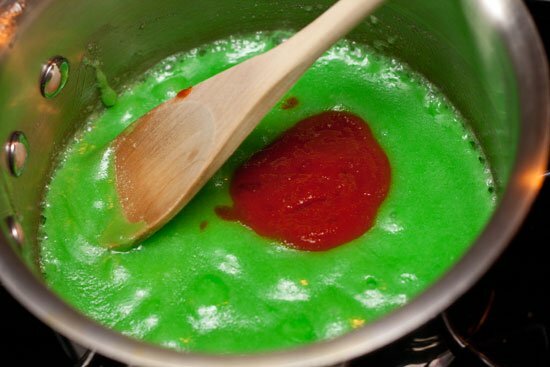 Mix well and keep stirring over medium heat for 2-3 minutes until gelatin is well mixed in and begins to boil. Add 1-2 T Sriracha Hot sauce. If you are afraid of spicy foods add 1 T of Sriracha hot sauce. If you like some spice increase to 2T of Sriracha hot sauce. Keep stirring and simmer on low for about 5 minutes. 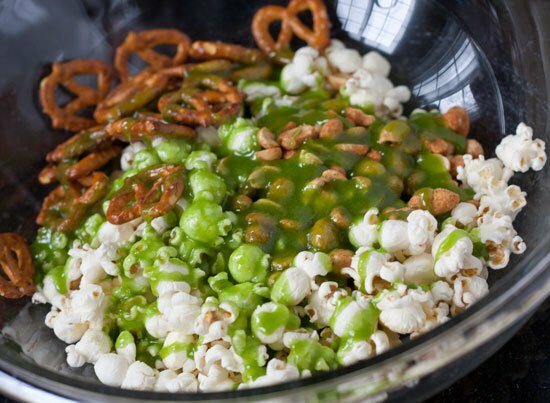 Immediately pour the spicy gelatin mix over popcorn, peanut and pretzel mix and mix well. 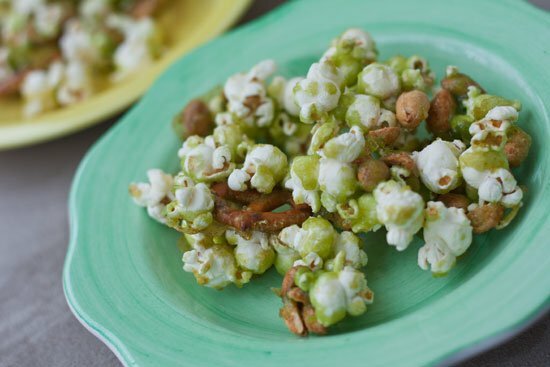 Spread the coated popcorn, peanut and pretzel mix onto the parchment paper lined baking sheet. Using two forks spread out the mix evenly onto the parchment paper. Bake at 300 degrees F for 10 minutes. Let cool. Break into small pieces and serve.